The heliocentric understanding of our solar system was revolutionary in its time, and marked a step towards a broader understanding of our place in the universe. However, the idea that the planets revolve around the sun in flat elliptical circles is only an isolated part of a broader picture. In order to really appreciate the dynamics of the solar system, within the larger context of our galaxy, we must expand our view to embrace its spiral path through the galactic disc. 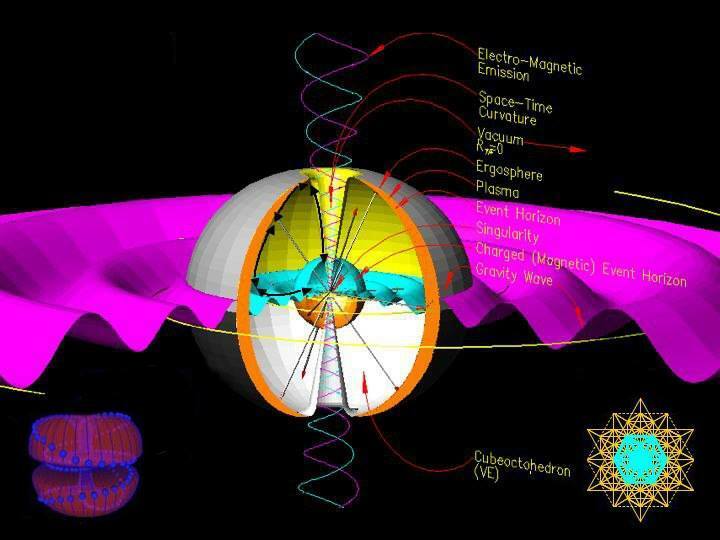 In the fractal-holographic theory all spherical systems (atoms, planets, stars etc.) are centered by a black hole singularity which connects through a common plenum, the non-local vacuum medium. The universe is described as a recursive fractal of toroidal black hole systems of increasing orders of magnitude, from atom to universe, the dimensions of which are dictated by a hyperdimensional tetrahedral vacuum geometry – the 64 tetrahedron grid (for more details see: fractal-holographic universe). Each miniscule black hole-atom is converting an infinitesimally small percentage of the available vacuum energy into mass, by pulsating cycles of expansion and contraction. Its nuclei connects with all protons through the common vacuum, gaining the holographic gravitational mass equivalent to the mass of the universe, thus universal information is present holographically within every atom. Onwards, the increasing scales of the toroidal dynamics organize matter/energy in the universe in harmonically embedded rotating tori defined by the vacuum geometry; galaxies with billions of stars, stars with dozens of planets, planets with rotating hemispheres, atoms with resonating electrons etc. The systems appear to us as atoms, bio-entities, planetary dynamics, stellar systems and vast galaxies, but they are merely aspects of the cosmic vacuum singularity in motion, albeit in differentiated and localized form. This creates a picture in which the entire universe is a vast twirling fractal of black hole entities absorbing and emitting information from unique positions within the system itself. Our galaxy is itself governed by toroidal dynamics generated as space-time curls into the galactic core, dragging its vast spiral arms through space. The system is driven by the structure of space-time, which is continuously imploding towards a point of infinite density, forcing the surrounding media to spin. In much the same way as small differences in pressure and temperature drive enormous hurricanes on Earth, relative differences in the vacuum energy density across decreasing scales of the manifold drive the universal space-time torque. The Milky Way galaxy travels through space in an enormous spiral at an approximate speed of 600 km/s, pulling along over 300 billion stars in its gravitational embrace. The same principle applies to our solar system, wherein the planets spiral through space at a speed of over 70,000 km/h following the central sun, which itself possesses a black hole singularity at its core. The solar system is caught in a gravitational arm emanating from the central black hole of the galaxy, and is locked in an even greater spiral orbit around the galactic heart. With these universal dynamics in mind we may more accurately describe the dynamics of planet earth and the function of its inhabitants. In the fractal-holographic universe, each individual on the surface of the planetary sphere follows a unique spiral through space, which causes our unique impressions of the universe to differ from each other. We’re absorbing information about reality as we travel towards ever new and unknown horizons. Every single cell in our body is a microscopic singularity, gathering and radiating information to and from the vacuum medium. Each body has its own unique spiral DNA-signature curled up within every cell, a signature evolved over billions of years of structural imprinting. Our experiences encode directly into the space-time manifold holographically, and are made ​​available to the entire universe instantaneously through the vacuum hyper-field. People come out of other people; we’re part of a giant, living fractal stretching through space and time, gathering information about its own existence, and each being is the result of millions of years of universal memories encoded in the space-time manifold. Together we’re on an endless journey through an infinite Cosmos! Every black hole scale resolution (e.g. atomic, planetary, stellar) can be thought of as a fractal node or hub through which all subsequent nodes are connected. 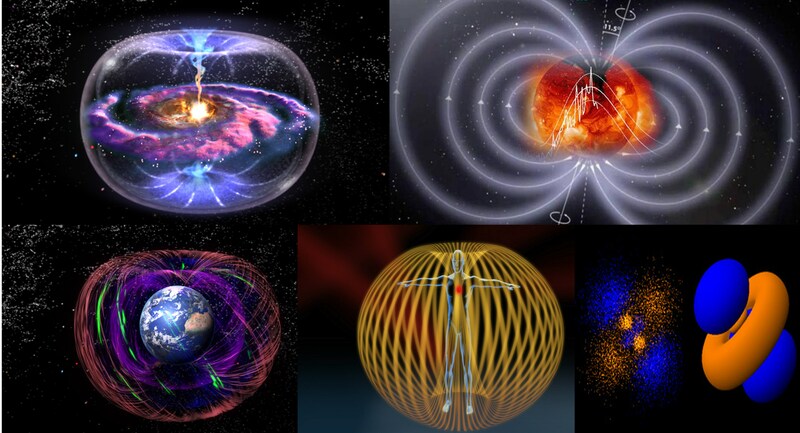 The sun is connected with the galactic nucleus, the planets are connected to the sun, biological life to the planet, the cells of the body to the heart, the atoms of the cell to the vacuum itself. One can imagine a stream of information flowing from the infinite macrocosmos all the way through the miniscule microcosmos and into the plenum, the common zero-point field, which in turn radiates it back out through all atoms in a feed-back loop of immense proportions. From another perspective, information flows by wormholes through each black hole hub, from cell into heart, into the planet, into the sun, into the galactic core, into the universal core and on to the multiverse – instantaneously – making all imprints, all experiences, available to all reality through hyperspace. As a whole, the field itself is continually adapting, innovating and self-organizing at all scales according to its new position in the cosmic fractal, and each singular point of gravitation can be thought of as a being, feeding the vacuum information about reality. As such, the universe may be a conscious entity experiencing itself through an eternal fractal feedback of information. Each of us represents a unique point of perspective within this fractal as we spiral through the vacuum of space. The collective consciousness on the planet, or the total number of individual fractal information-processing nodes, is centered by the hub of the planet – the heart singularity at its core – which creates a commonality of experience between inhabitants of earth, defining parametrical frames of consensus reality within the holographic universe. In the same way, each individual body represents a microcosmic reality-bubble of its own, generated by that one individual node – our heart (and cells). In this fractal world we are all creating reality from the simulacrum of pure potential, both alone and together – and in turn reality is creating us. Each individual in the infinite hyper-mind influences the whole universe with its own experience of the field. For millennia the spiral has been venerated as the true path of the human soul. 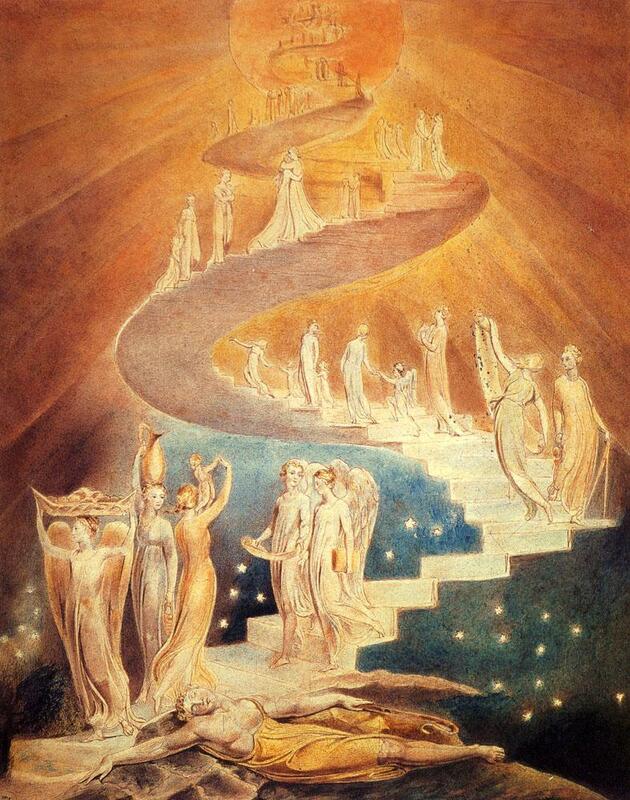 Its position as an elemental principle of Creation is reflected in the artwork and scriptures of innumerable cultures across the world, and it has been known under names such as “The Tree of Life” or “The World Serpent” and “Jacob’s Ladder”. Now we can see in a quite literal sense that our soul journey indeed follows a helical path through space and time, ever deeper into the heart of God. “Mehen” is the oldest known board game, with roots in Egypt. 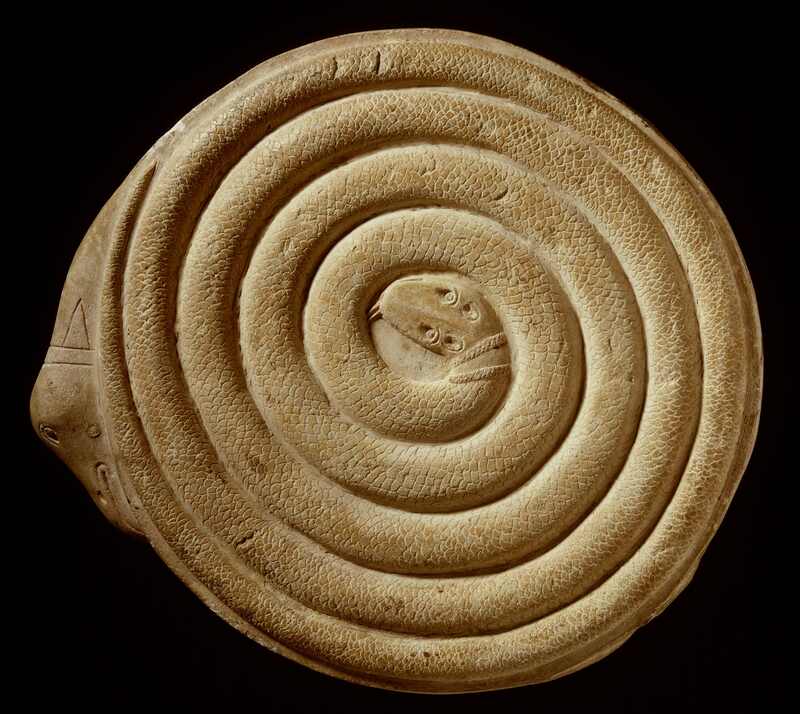 These boards had a spiral track that represented the rolled-up snake and was separated into fields which were often made to resemble its scales. The center was typically fashioned as the head of the snake, and its tail ended the outside of the spiral.